The mother of the H&M hoodie model believes the controversy is an "unnecessary issue"
By now you’ve heard about the H&M hoodie controversy. 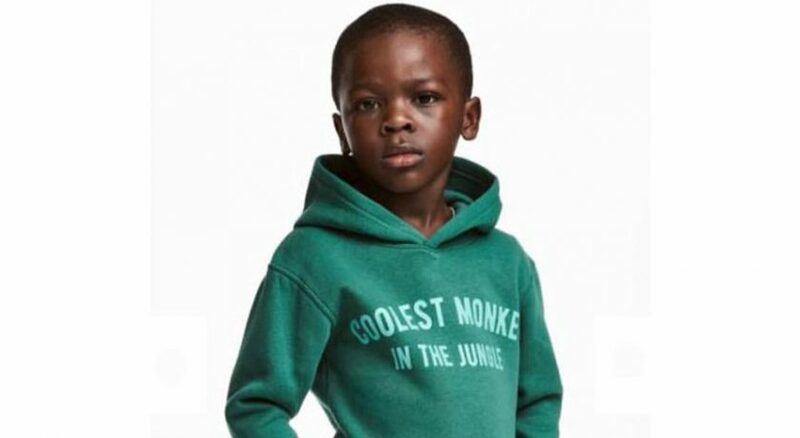 Because when you outfit a black person in a shirt with the phrase “coolest monkey in the jungle,” heads rightfully turn and there are long sighs. This is just another example of brands being less than culturally aware or overtly racist to black and brown people. Who can forget how Madewell styled this black model’s hair? The Weeknd, who started collaborating with H&M last year, tweeted that he’s cutting ties after the racist sweatshirt’s image was plastered on social media. Celebs like LeBron James and Diddy also showed support for the young boy by removing the “monkey” phrase and replacing it with words like “king” or an image of a crown. We’ve heard the internet outrage, celebs have chimed in, and H&M backtracked. But what about the young model or his parents? Well, the model’s mom has reportedly spoken out. And while you might think she would be equally outraged or appreciative of the support, she doesn’t see an issue. She also wrote that she’s been with her child at all of his photoshoots and this was no exception. So we can assume she saw the stylist on set putting her son in the “monkey” hoodie. She didn’t have a problem with it then and she clearly doesn’t have one now.